Two Faces of a City #1: Havana, Cuba. A photo documentary. 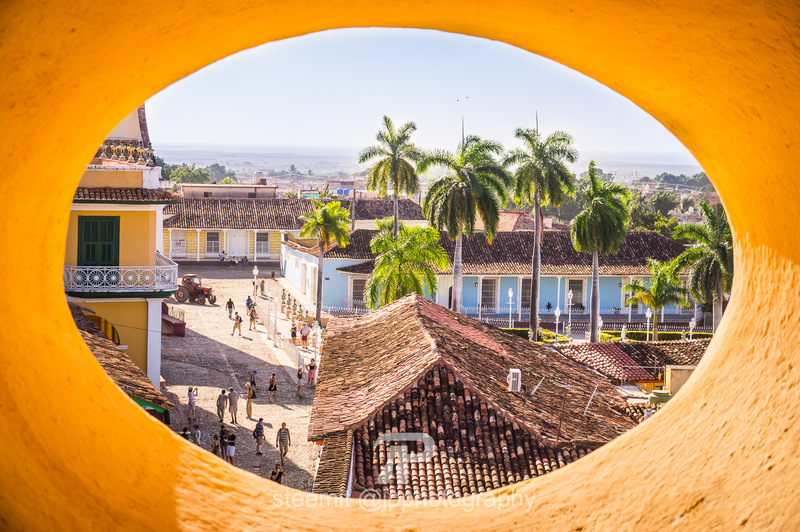 If you want to see what life in Cuba is really like, take a trip to Cuba and walk a few streets away from the places that the Lonely Planet recommends you to visit – Museums in Cuba are all the same anyway. If you can not make it to Cuba soon, check out this photo documentary, which aims to show the different sides of Havana. Colourful Classic Cars and Colourful Facades. 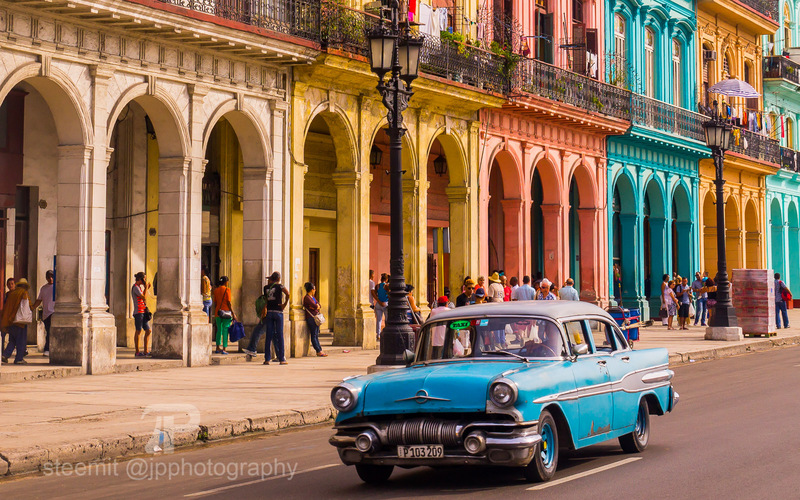 Welcome to Havana, a city that never fails to impress tourists with its colourful classic cars and facades! When I visited Cuba in 2015, I instantly fell in love with the city. 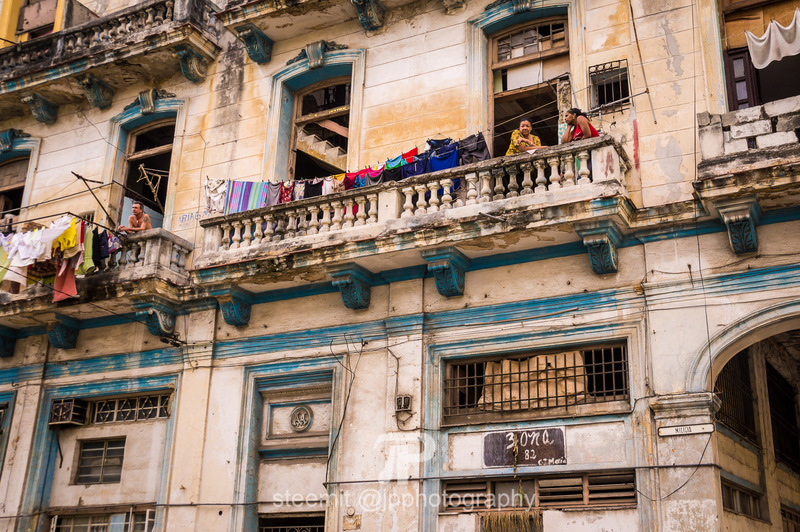 Colourful facades like this one can mostly be found in Habana Vieja. Habana Vieja has been vastly renovated in the past years, in the touristy core of Habana Vieja there are only few normal apartments remaining. 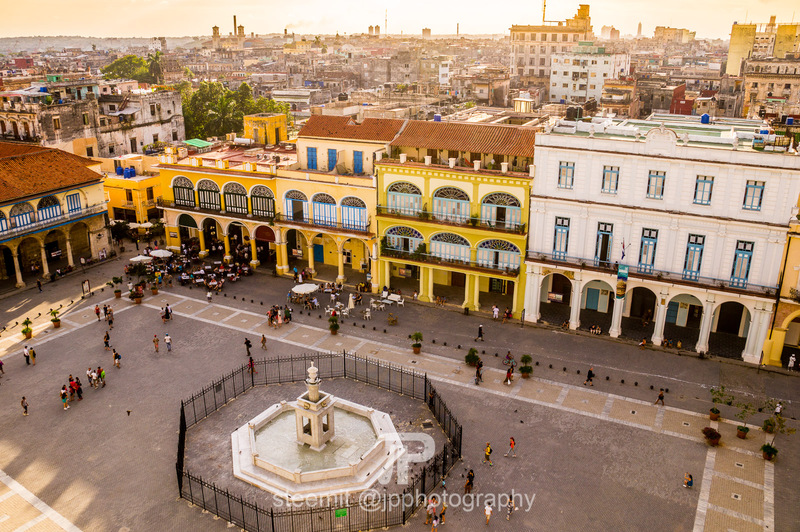 With tourism being the major source of foreign currency income for Cuba, renovations now mostly take part in the outer parts of Habana Vieja. 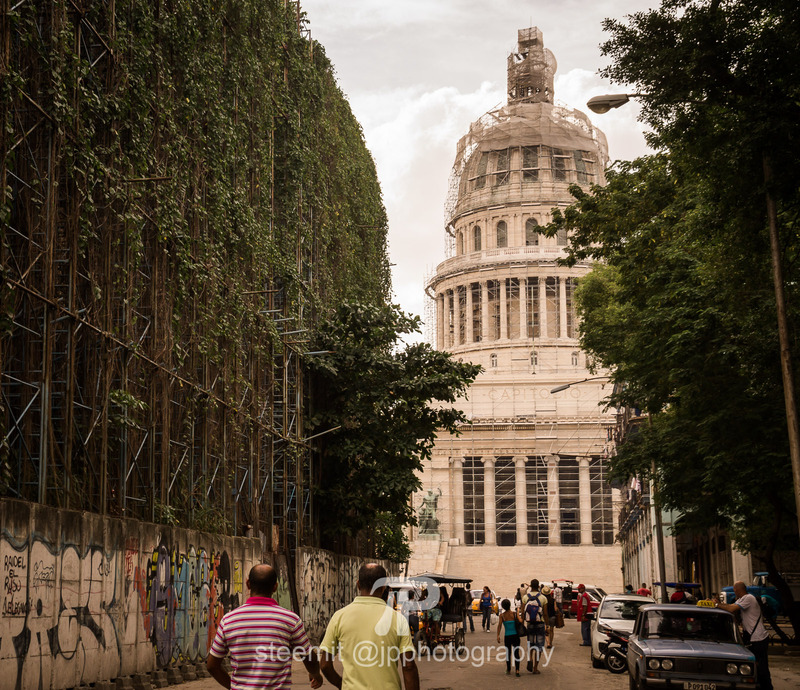 The capitolio, a well-known landmark of Havana, has been under renovation for years. The capitolio divides Habana Vieja from Habana Central. A City in Between Decay and Revolution. 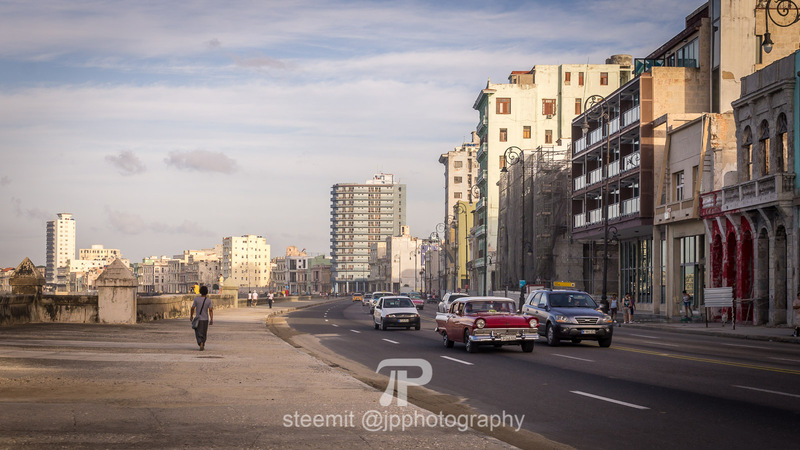 Next to the capitolio lies Centro Habana, where there are few tourists and many Cubans living. Your picture of Havana starts changing.. Visiting a Cuban store can be an interesting experience. In the Western World we are used to having a huge choice of what to buy, but in Cuba the choice is limited. The reality in Cuba is different to the common perception. The shortage of goods is not only caused by a failing socialist economy, but also by the trade embargo emposed by the US after the Cuba Crisis in 1962. Ever since, no product that has a part that is intellectual or physical property of an US-company can be imported into Cuba. A Cuban guy explained it to me like this: If there is a Chinese company producing a calculator patented by a German company in a Brazilian factory, it can still not be imported to Cuba if an US-based company owns a patent for the solar cell of the calculator. 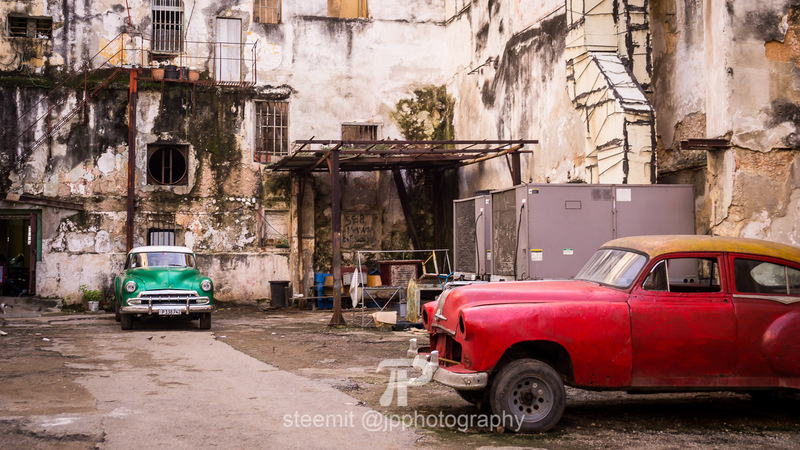 Since nearly any product is therefore affected by the embargo, Cubans try to kept their famous classic cars running and have managed to do so for the past 60 years. The famous classic cars are mostly owned by the government; with an average salary of less than 20 USD per month most Cubans could not even afford the fuel. There are nearly no traffic jams in Cuba – no wonder considering that there are only roughly 17 cars per 1000 people. Apart from the classic cars are some Soviet cars around as well as some new Chinese cars. The Ugly Side of Havana. Directly on the Malecon in Centro Habana there are houses that look like they have not been renovated since before the Cuban Revolution in 1959, since the Castro regime decided to invest in the countryside. 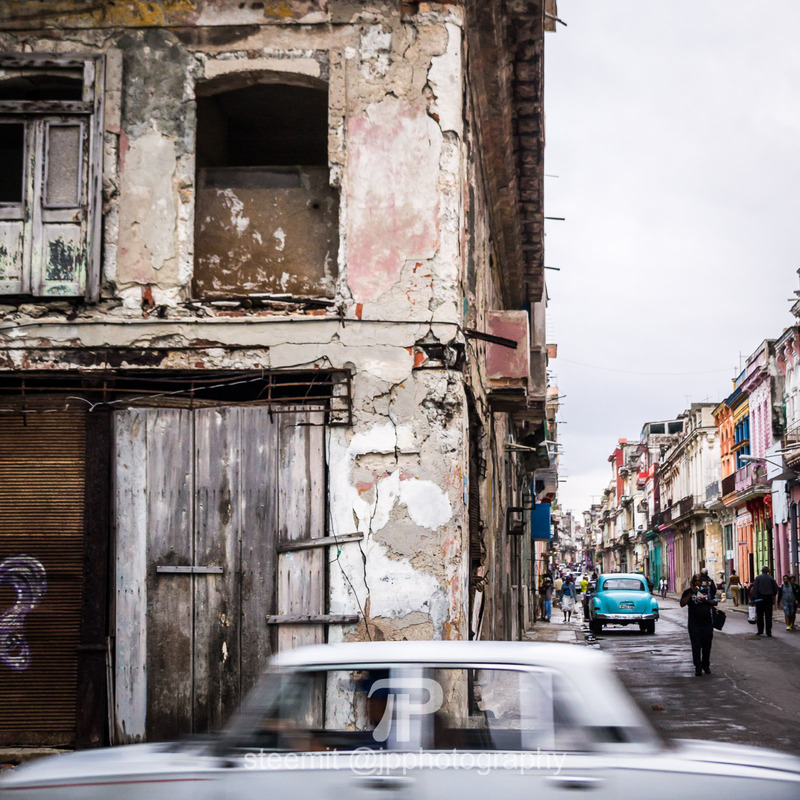 As you see, behind the colourful facade there is a different side to Havana: The harsh reality of life in socialist country with a troubling economy. I fell in love with Havana not despite, but because of its differences. Visiting Cuba is a truly unique experience that I can certainly recommend! The numbers and statistics cited in the article are mostly derived from conversations I had during my stay in Cuba and may not be totally accurate. This post was first published on my Steemit blog.